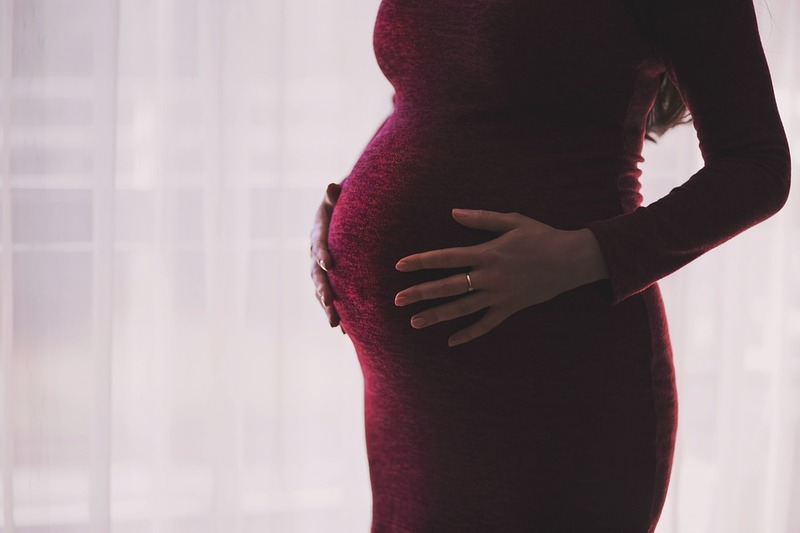 Bleeding during pregnancy has many possible causes, some minor, and others that may pose a serious risk for you or the fetus. The causes of bleeding are typically quite different in early and late pregnancy. All bleeding during pregnancy should be evaluated by your doctor. Pregnancy occurs when a sperm and an egg are united in one of the two fallopian tubes, the tubes that carry the eggs from each ovary to the uterus. This fertilized egg then travels down the tube to the uterus where it attaches to the enometrium, the lining of the uterus. Some minor bleeding, called implantation bleeding, may occur at this time, and is not considered a problem. Following implantation, the endometrium thickens, becomes engorged with blood, and the placenta begins to grow. This is the organ that connects the fetus to the mother (via the umbilical cord) and through which the fetus obtains nourishment during the pregnancy. Miscarriage, which is the spontaneous loss of the fetus and placenta, occurs in about 15% of pregnancies, typically in the first 3 months. It is thought to be the body’s way of ending a pregnancy that is not progressing normally. It does not mean that you are unable to become pregnant again or that you are in any way unhealthy. Symptoms include vaginal bleeding, possibly mixed with some tissue, and on and off cramping low in the abdomen. Symptoms may stop and the pregnancy continue as normal. Also, the bleeding and cramping could become worse and loss of the fetus occur. Ectopic pregnancy occurs when the fertilized egg, rather than traveling to the uterus, becomes embedded elsewhere, typically in the fallopian tube (tubal pregnancy). It is a type of miscarriage. As the fertilized egg grows, it can rupture the tube causing vaginal and internal bleeding, pain, weakness, and even shock. Immediate medical attention is necessary. Risk increases for ectopic pregnancy in women who have had infection in the fallopian tubes (such as pelvic inflammatory disease). Though a miscarriage does not indicate a health problem, repeated miscarriages should be discussed with your doctor in case there is a problem that can be corrected. Diagnostic tests may include a pelvic exam, pregnancy test, and ultrasound. If an ectopic pregnancy seems likely, a laparoscopy may be performed. This procedure allows your doctor view inside your lower abdomen with a telescope-like instrument. Treatment varies, depending on the diagnosis and situation. In miscarriage, no treatment may be necessary. However, if some tissue remains in the uterus, it can cause continued bleeding or other complications. This tissue can be removed by either gentle scraping or suctioning in a surgical procedure called dilation and curettage (D&C). In ectopic pregnancy, surgery is necessary. If the tube has ruptured or is in immediate danger of rupturing, surgery will be done immediately. Bleeding during the last half of pregnancy requires that you contact your doctor immediately. Though the cause may be minor, (i.e., passage of the blood-tinged mucous plug from the cervix, know as “bloody show”), it may indicate one of two serious problems: placenta previa or abruption placentae. In abruption placentae, the placenta detaches from the uterine wall. The fetus can be endangered by the loss of oxygen and nutrients. Placenta previa occurs when the placenta is very low in the uterus, either partially or totally covering the cervix. Both may require early delivery and/or hospitalization to protect the health of you and your baby. Contact your doctor anytime bleeding occurs during pregnancy. Though it may only indicate a minor condition, it may also be the first sign of a serious problem requiring immediate treatment.